Shameful the level of lies they use. To divide us. To put fear into us. To have us fight the wrong battles. To achieve their dream of Global Control. CNN converted a color photo, to a black and white photo, to hide the color of the shooter's skin, so it wouldn't be so obvious that this was a Muslim. 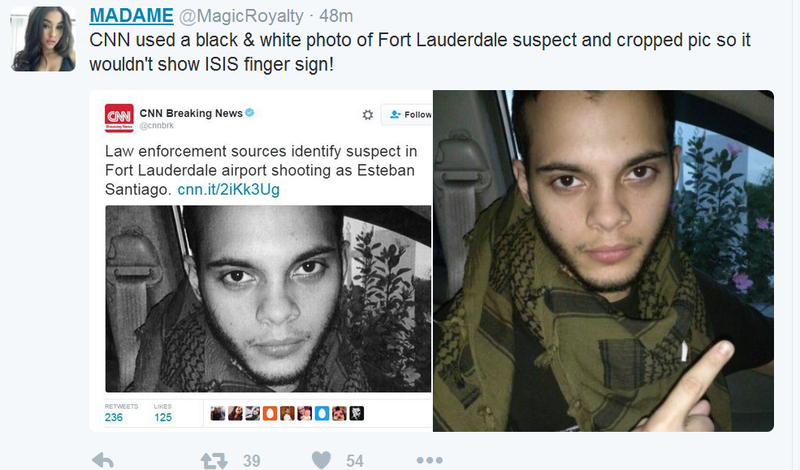 Then they cropped the photo to remove the "isis finger sign".